Does Birth Control Stop Ovulation? 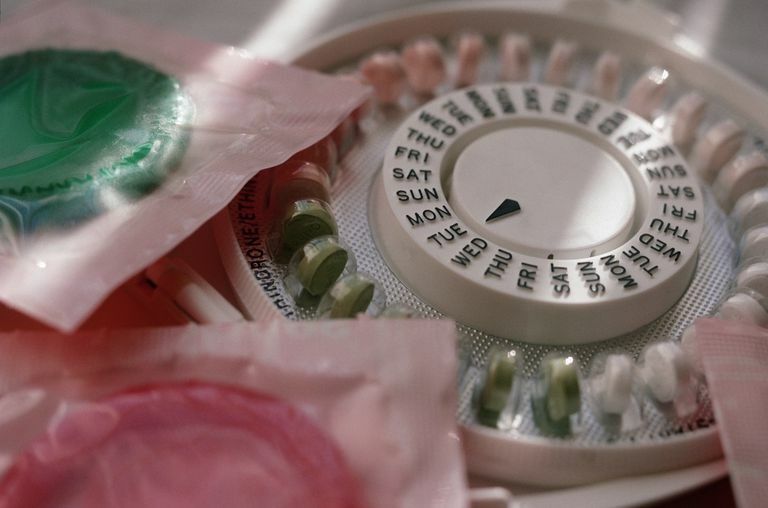 Hormonal birth control supplies a steady level of both progestin and/or estrogen every day. This steady supply of hormone helps birth control stop ovulation. In order to get pregnant, there must be an egg for the sperm to fertilize. So, when birth control stops ovulation, an egg is not released from the ovary. With no egg for the sperm to join, pregnancy is prevented. Combination birth control methods (such as the birth control pill, the patch, and NuvaRing) have the main goal each month of preventing your body from releasing an egg. Sometimes, progestin-only birth control (like Depo-Provera, the minipill, Mirena, Nexplanon, and Skyla) can also do this. The estrogen and/or progestin found in these methods can cause birth control to stop ovulation. How Does Birth Control Stop Ovulation? Hormonal birth control stops ovulation because it prevents the signal that triggers the two key hormones that are involved in ovulation: FSH and LH. These two hormones will begin to be produced if your body notices a shortage of estrogen and progesterone. Hormonal birth control provides just enough synthetic estrogen and progesterone hormones to prevent the stimulation of FSH and LH production. Normally, the hypothalamus in your brain detects when your estrogen levels are low, typically during the first days of your menstrual cycle. Your hypothalamus releases gonadotropin-releasing hormone (GnRH). This is the hormone that signals the pituitary gland in another part of your brain to make follicle-stimulating hormone (FSH) and luteinizing hormone (LH). Since your pituitary gland never gets this message, it does not produce follicle stimulating hormone (FSH). Without the release of FSH, there is no signal to trigger the growth and development of egg follicles in the ovaries. Ovulation normally takes place after there is a surge of luteinizing hormone (LH) and an egg is released from the ovary. With hormonal birth control, there is nothing to trigger the luteinizing hormone (LH) surge, so the egg's release is not activated and ovulation does not take place. Hormonal birth control basically keeps you in the same phase of your menstrual cycle on a continuous basis, skipping the release of GnRH and stopping ovulation from taking place. The ovary becomes relatively inactive. For some women, it is a matter of their personal ethics, morality, or religion as to whether their birth control method stops ovulation, fertilization, or the implantation of the fertilized ovum. For those who believe life begins when the egg is fertilized (at conception), preventing the release of an ovum could be an acceptable action, but preventing pregnancy after the egg is fertilized might not be acceptable. It is common for hormonal birth control to produce all three effects. Ovulation may be prevented by the constant level of the synthetic hormones. Progestin keeps the cervical mucus viscous so sperm cannot enter the uterus and fallopian tubes to fertilize an egg. It also keeps the uterine lining in a condition that doesn't support implantation and nourishment of the fertilized egg. Combination hormonal birth control stops ovulation. Progestin-only birth control only stops ovulation in about 40 percent of women, but its other effects on the cervical mucus and uterine lining act to prevent pregnancy if ovulation occurs. Combined Hormonal Birth Control: Pill, Patch, and Ring. The American College of Obstetricians and Gynecologists. Norman R. "The Human Menstrual Cycle." The Active Female. Springer New York, 2014. 61-66. Progestin-Only Hormonal Birth Control: Pill and Injection.